Kavey and I were recently invited to Dublin by Bord Bia, the Irish Food Board responsible for forging links between Irish producers and potential customers around the world. As well as showcasing excellent Irish produce, Bord Bia also aim to develop markets for Irish suppliers and bring the taste of Irish food to more tables world-wide. As well as sampling some excellent food during our time there, we also got the opportunity to enjoy the liquid side of life with both beer and wine – although sadly not whiskey on this trip. The beer list in L Mulligan Grocer, our first dinner stop, is impressively long and would be the envy of the finest London craft beer bar. Although there are plenty of international beers on offer, there are lots of great local brews to be had too – from the traditional (but delicious) Dark Arts Porter from Trouble Brewing, to 8 Degrees‘ Sunburnt which drips with enough New World hops to make any microbrewer proud. 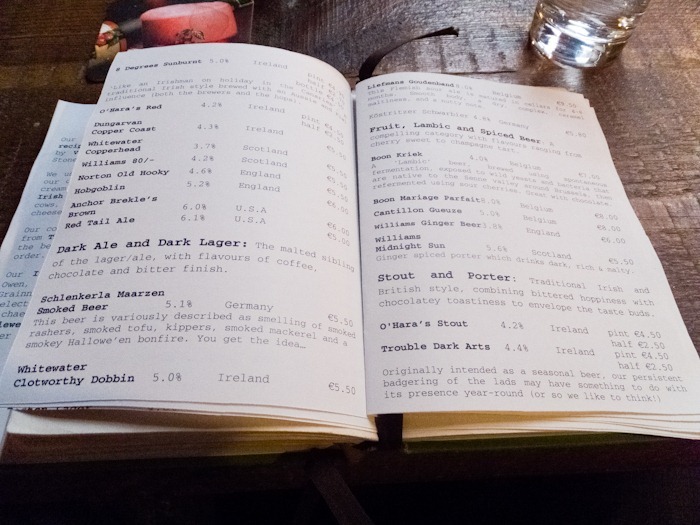 Porterhouse are probably beyond the definition of a microbrewery by now, with a number of their own pubs, all serving their own range of their own seriously tasty brews. 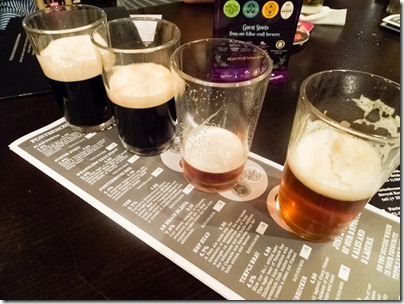 They even have a bar here in the UK, where hopefully I’ll get to make a more in-depth exploration of their beer. 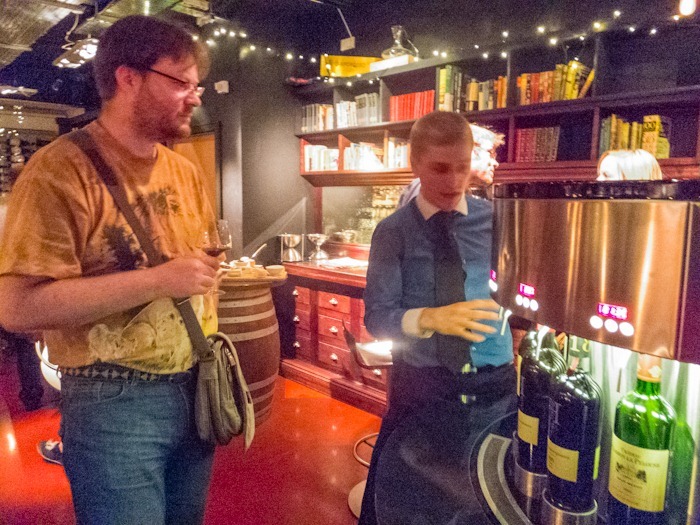 If beer isn’t your cup of tea, the Dublin Wine Rooms have the most cunning device for selling wine that I’ve come across – dozens of bottles all plumbed into an automated system that allows you to buy by the glass or even just the sample measure, many for just a Euro or two. Sadly none of it is Irish wine (although there is at least one vineyard in Ireland) but it’s great fun. Of course, there is that elephant in the room. 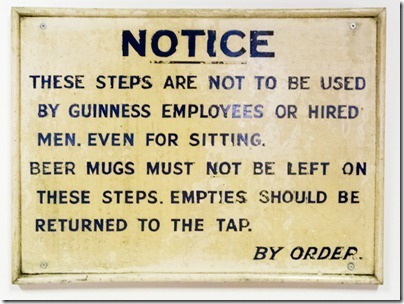 And it’s almost obligatory to visit to the Guinness brewery – sorry, the “Storehouse”. I would call it a brewery tour, but you don’t actually see any brewing, you don’t hear much about the brewing process and the hop plants growing up the wall are plastic. My initial thought was that this was a brewery tour the way Disney would do it, but that’s rather unfair to Disney. It was more like a Thorpe Park brewery ride. They did let us all pour (and subsequently drink) a pint though, so it wasn’t all bad. 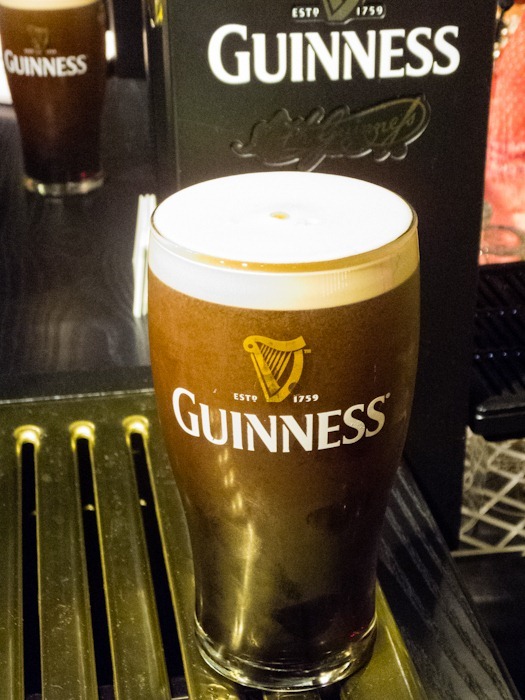 And yes, I really did pour that pint all by myself. 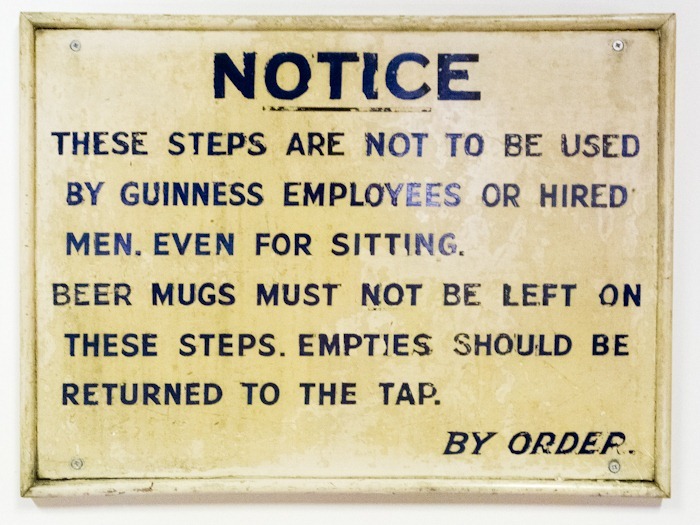 Don’t go there for the “experience” (unless you have a deep need to be told about the evolution of Guinness advertising through the years), but the views across Dublin from their Gravity Bar, perched on top of the brewery, are well worth seeing. My thanks go to Bord Bia for the trip; I’m certainly looking forward to heading back to Ireland. 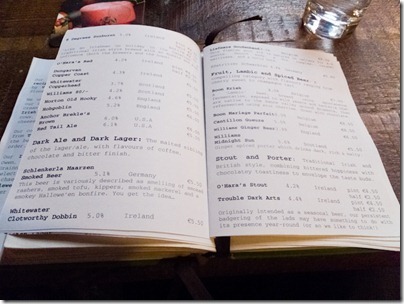 Perhaps next time I’ll have to do some exploring of the other side of Irish drinking – whiskey! 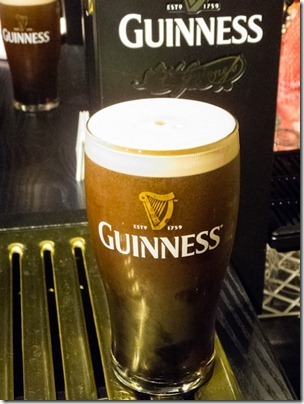 Pete Drinks was a guest of Bord Bia and of L Mulligan Grocer, Porterhouse, Dublin Wine Rooms and Guinness.